Lenovo Data Center Group (DCG) hosts and sponsors dozens of events each year. Visiting Lenovo DCG at any one of these events is a great way to learn more about our offerings. See live product demonstrations when you visit our event booth. We also offer opportunities to talk with subject matter experts as well as attend presentations, panel discussions and breakout sessions. Nutanix .NEXT on Tour events are an excellent opportunity to learn more about technology and solutions that can help you build reliable enterprise cloud solutions for companies of any size. We have so much to share this year at Nutanix .NEXT Europe event. From the Multi-Cloud Application Orchestration using Nutanix CALM on Lenovo systems, to Data Protection for ThinkAgile HX using Veeam, to our new 4-socket ThinkAgile HX platform with Intel® Xeon® Scalable processors built for SAP HANA. Be the first to gain deeper insight into our next generation servers and solutions with a one-on-one meeting with one of our Lenovo solution architects and Nutanix data center experts. Book a meeting in advance to get all your business and technical questions answered. 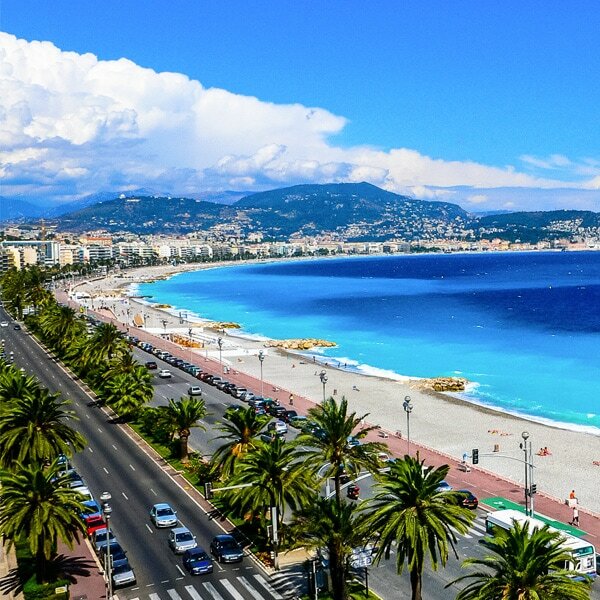 Join us at 2019 edition of the SMB Innovation Summit in Nice and find out more about Lenovo’s collaboration with SAP to deliver array of reliable solutions for SAP environments. This includes, among others, easy to implement hardware, software and services for SAP Business One. Interested to learn how Lenovo ThinkSystem servers powered by Intel® Xeon® Scalable processors can help you accelerate SAP application performance to deliver information business needs? Come by Lenovo stand in the Solution Expo area to experience first-hand our solution demo and get your business and technical questions about solutions optimized for SAP applications answered. Join our business partners and customers alongside Lenovo experts as we discover, collaborate, and improve the technology industry from the inside out. 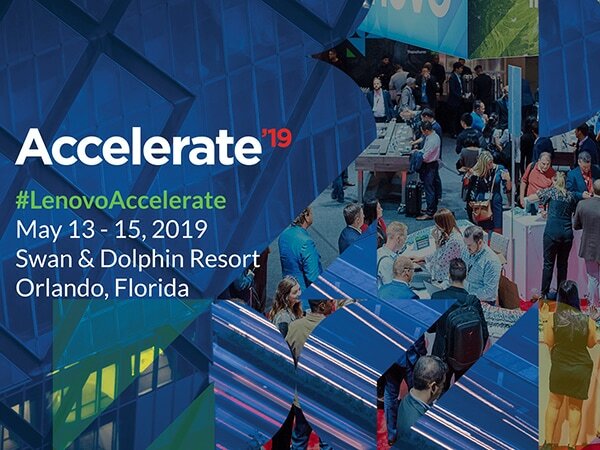 With more solutions, products, and deep-dive breakout sessions than ever, there’s never been a better time to attend Accelerate. Visit the Accelerate website to register and to view the agenda of speakers and sessions. More details about upcoming events will be available soon. Come by Lenovo stand at SAP’s 2019 SMB Innovation Summit and gain insights that can help you seize new business opportunities. What’s more, you can stand a chance to win one of the Lenovo Star Wars™ Jedi Challenges AR sets. Looking forward to meeting you in Nice! The Promotion starts on Tuesday 2nd April at 9:00 GMT and ends on Wednesday 3rd April 2019 at 16:00 GMT ("Promotion Period"). The In-Booth Raffle (the “Promotion”) is open to SAP’s SMB Innovation Summit attendees who fulfill predefined criteria (“Participants”). The SAP SMB Summit event Sponsors and Exhibitors and their staff are excluded from this Promotion. To enter the raffle, please insert your business card into a raffle box. Note each Participant may only enter one (1) business card on each day of the Promotion. No purchase is necessary to enter this Promotion. The lucky draw will be conducted on Tuesday 2nd April and Wednesday 3rd April – one lucky draw a day – and the time of the Prize Draw will be displayed at the Lenovo stand. Only Participants who enter their business card into the Prize Draw box and are present in person at the Lenovo stand at the time of the draw are eligible to redeem the Prize (Lenovo Star Wars Jedi Challenges set). If the winner is not present at Lenovo stand during the draw their entry is disqualified and the prize draw will be rerun. The Prize can be redeemed by the winner at the Lenovo stand in the exhibition area during the SAP’s SMB Summit Event in Nice. The Prize will not be awarded to other individuals or companies. All instructions form part of these terms and conditions. By entering their business card into the raffle, Participants confirm their acceptance of these terms and conditions and agree to be bound by them. Where this prize constitutes a taxable benefit, all tax liability lies with the recipient. This Promotion may not be combined with other promotions, programs or offers from Lenovo except where other promotions, programs or offers provide for this in their terms and conditions. Lenovo reserves the right to disqualify incomplete, altered or illegible business cards entered into a raffle. No responsibility will be accepted for submissions which have been lost, or are late, damaged, misdirected, delayed in the post or insufficiently pre-stamped. Lenovo is not responsible or liable for any technical, hardware, software, server, website, or other failures or damage of any kind to the extent that this prevents the participant from, or otherwise obstructs him/her in participating in the Promotion. All documentation submitted for this Promotion becomes property of Lenovo and will not be returned. Submission of false, incorrect, misleading or fraudulent documentation may result in disqualification from this Promotion and future Lenovo promotions and may result in the submitter being subject to prosecution. Lenovo reserves the right to monitor, review, retain and/or disclose as necessary information to satisfy any applicable law, regulation, legal process or governmental request. Lenovo may declare this Promotion to be void where it is taxed, regulated, prohibited or restricted by applicable law. The decisions of Lenovo in respect of any and all aspects of the Promotion will be final and binding. Lenovo reserves the right to change, amend, or terminate the Promotion at any time and without prior announcement.